The calendar is not able to show correct prices or dates. 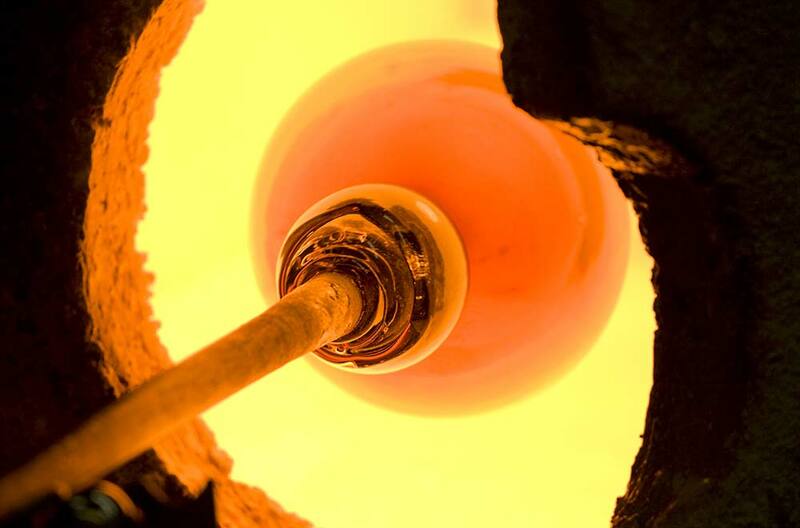 Please check the correct information on our website (link below) and send the booking request from our websites. Lumme is comfortably furnished and offers you all modern conveniences. 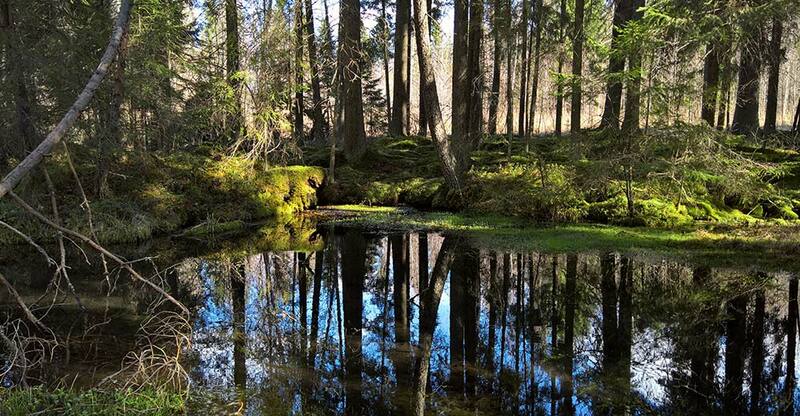 The unspoiled Finnish nature begins at your doorstep. 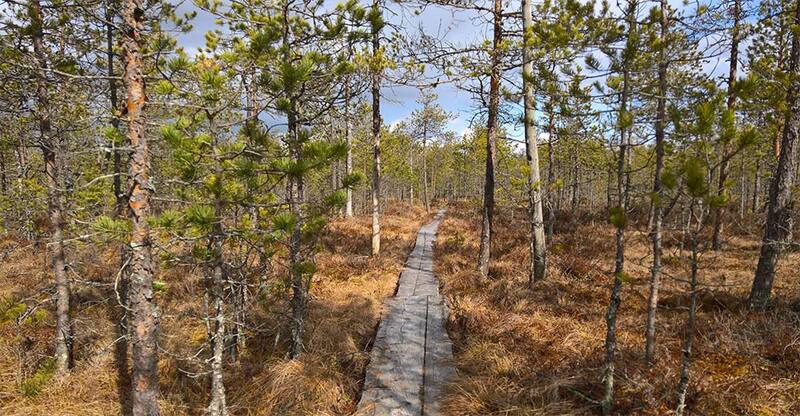 Lumme is also very easy to reach; near excellent road connections, and only an hour's drive away from the busiest airports and harbours in Southern Finland. 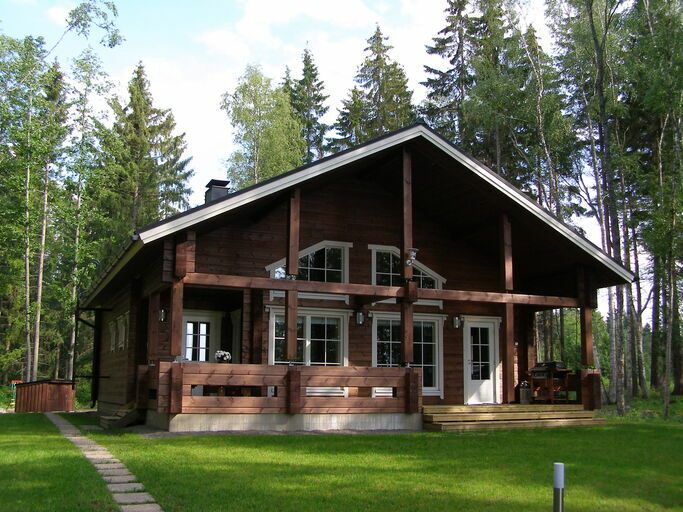 Kriipi's log houses are located in the municipality of Hattula, located in the middle of Southern Finland near Kriipi's nature reserve and the Tenhola hills. 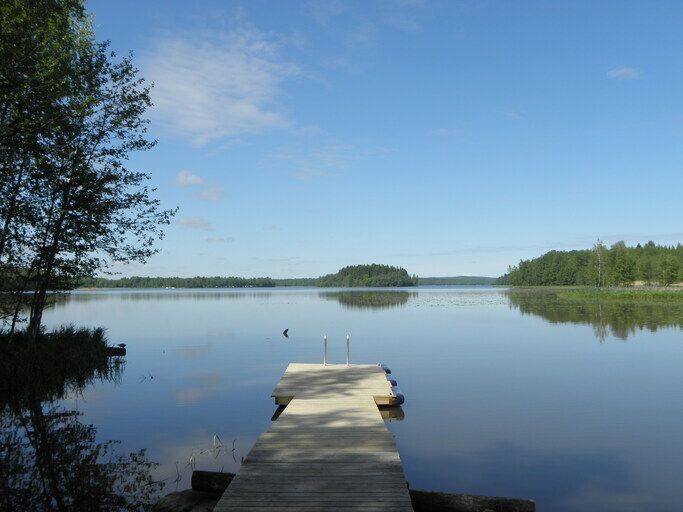 The cottage is located near excellent road connections, so it is a perfect place to spend your vacation and, at the same time, visit the biggest cities in Southern Finland. From the motorway it is only a 10 minute drive to our cottages. Cottage Lumme (Waterlily) was completed in December 2007. 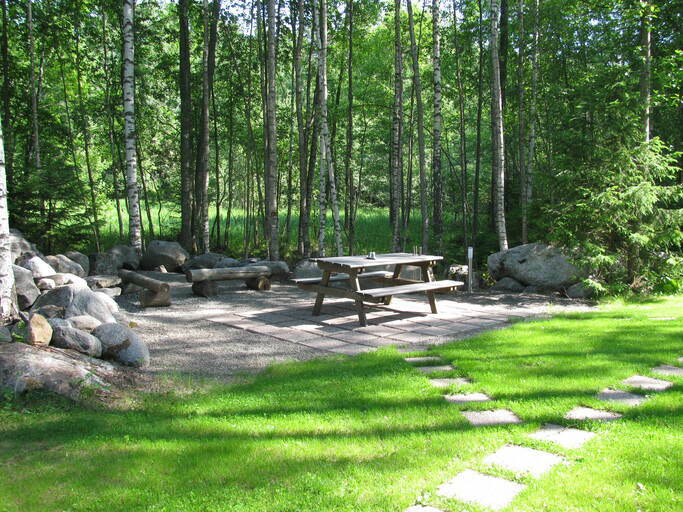 The nearest neighbours are the cottage Kaisla and a private summer cottage. The cottage Kaisla is located about 150 metres away from Lumme. 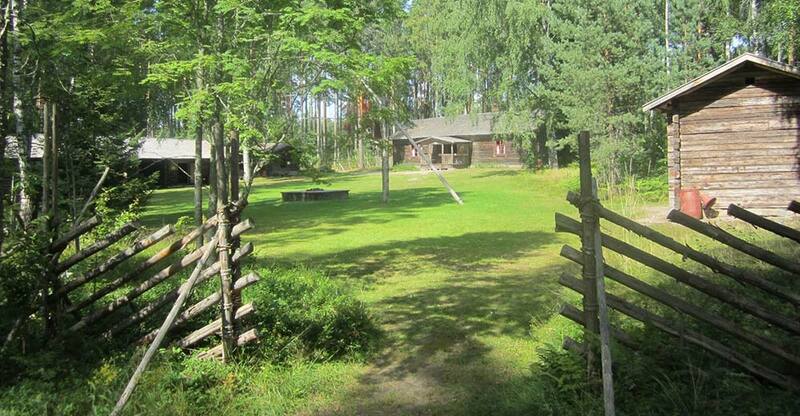 The summer cottage nearby is located about 60 metres away and used by the owner family (in summertime). There are some trees growing in-between, so there is no straight visual contact. The floor area of the cottage comprises ca. 108 m2/135m2 + a veranda area of 25 m2. 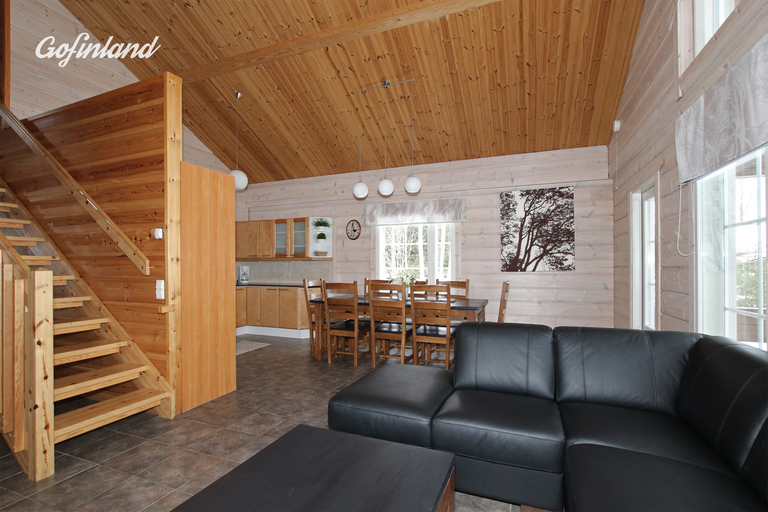 The cottage has a combined kitchen and living room (equipped with a sofa to seat 5), a dining area with a big table and 8 chairs, two bedrooms downstairs, a loft, a toilet, a bathroom and a sauna with a wood-stove. 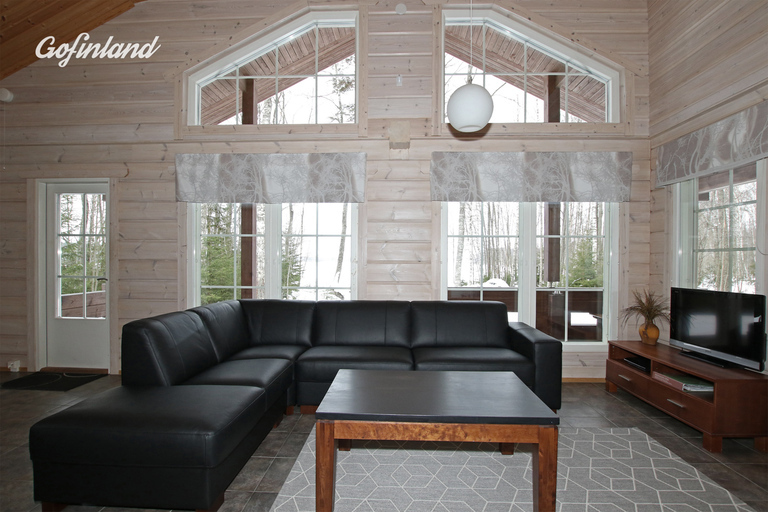 Firewood and wireless internet connection (WLAN) is included in the rent of the cottage. The cottage has underfloor heating. The cottage has the official best 5-star classification. The master bedroom has a double bed and the other bedrooms have two single beds each. The loft also has two single beds and in addition a sofa bed (for 2 children). There is a gas grill on the veranda that can only be used in the summertime (May-November). The cottage Lumme is located only 25 metres from the waterfront. There is a grass yard with a flagstone path leading to the jetty. The yard is illuminated. 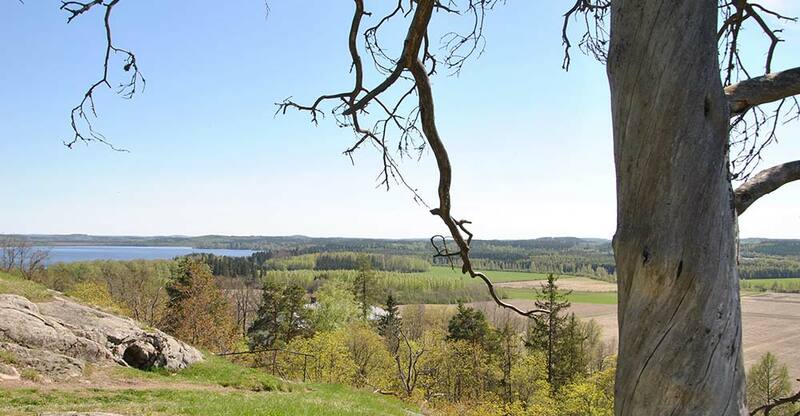 The view is to the north-west, straight to the lake Vanajavesi. You are welcome to use the rowing boat, and life jackets can be found in the cottage. The shallow beach with a muddy bottom. By the lake there is also a campfire place. Available on request, we can offer baby equipment, such as a baby cot, a high chair, a potty and a baby guard fence to be used in the stairs. There is a swing and a sandbox for children in the yard. Special conditions: If you make the reservation more than three months before the desired renting period, we will require a prepayment invoice (25 % of the rent). Your booking will be confirmed once you have settled the prepayment. We will send you an invoice for the rest of the rent payment about two months before the desired renting period. The due date for the payment is six weeks before the start of the renting period. 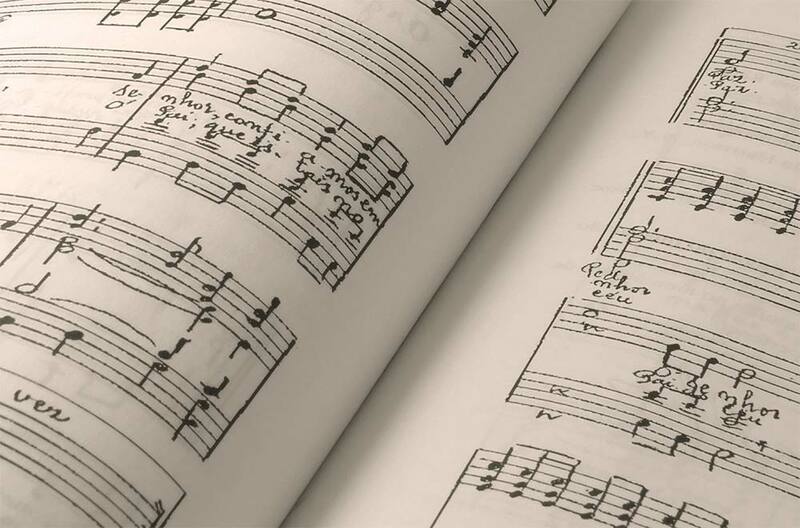 In the case of a cancellation, the prepayment will not be refunded. If you make the reservation less than three months before the desired renting period, we will send you an invoice as soon as possible. The invoice includes the whole rent and the due date for the payment is two months before the desired renting period. Your booking will be confirmed once you have settled the payment. In the case of a cancellation, the retaining fee 25 % of the whole rent will not be refunded. If case of a cancellation less than 30 days before the desired renting period, a retaining fee of 50% of the rent will not be returned. If case of a cancellation less than 14 days before the desired booking period, the guest will be charged the entire sum for the accommodation. Description of beach: The shallow beach with a muddy/sandy bottom. 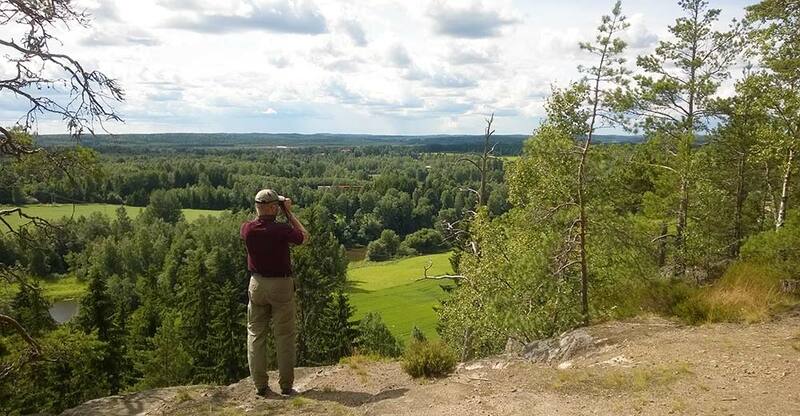 More information on entertainment: Ridges, lakes, fields, forests, and marches are typical of the landscape in the Häme region. Kriipi's island and the surrounding water areas are included in the Finnish Natura 2000 areas, network of nature protection areas. Here you can also observe a variety of water birds, such as ducks, terns, great crested grebes and swans. Deer, elks, and foxes are common in this area. At dusk, you can spot white-tailed deer moving near the cottages. 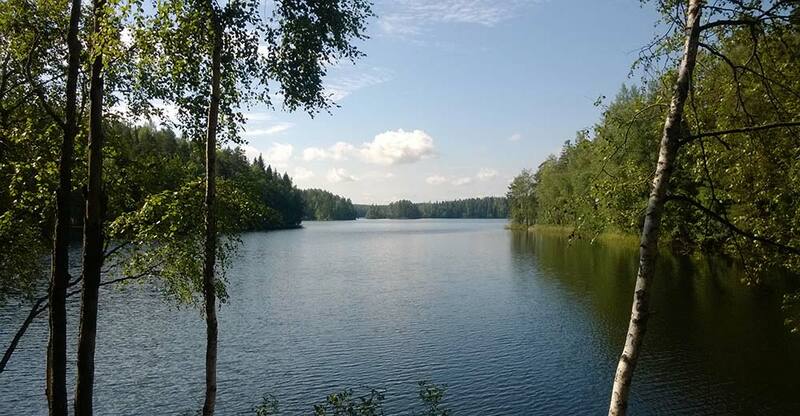 The large lake Vanajavesi provides excellent possibilities for fishing all year round. In Finland, everybody has right to walk in a forest and pick berries and mushrooms (this is included in the statutory everyman's rights). On the hills there are ideal possibilities for it. The berry season ranges from July to August, and mushrooms can be found from August to the end of October. 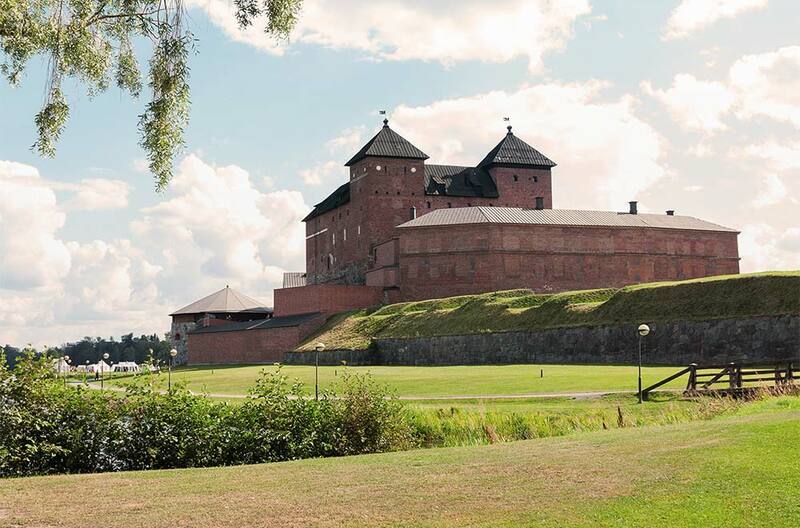 There are also several golf clubs in and nearby Hämeenlinna. The nearest is the Hattula Golf, which is located only 10 km from the cottages. In the winter, you can go to cross-country skiing on the Tenhola hills or skate on the ice of the lake. The nearest downhill ski centres are Kalpalinna (30 km) and SkiSappee (50 km). More information on leisure-time activities: We offer a motor boat for rent, Buster S with 20 hp motor (Honda). The length of the boat is 4.58 m, the beam 1.88 m and the boat can fit four persons (300 kg). The boat is equipped with a rod holder for fishing. The rent is 150 €/day, 210 €/weekend and 400 €/week. 25 litres fuel is included in the rates. We advise to make the reservation in advance. 340,- is the minimum price. Includes 2 nights. Services: Nearest supermarkets can be reached by car in 10 minutes (Parola 7 km) and the nearest hypermarkets in 15 minutes (Tiiriö 14 km). 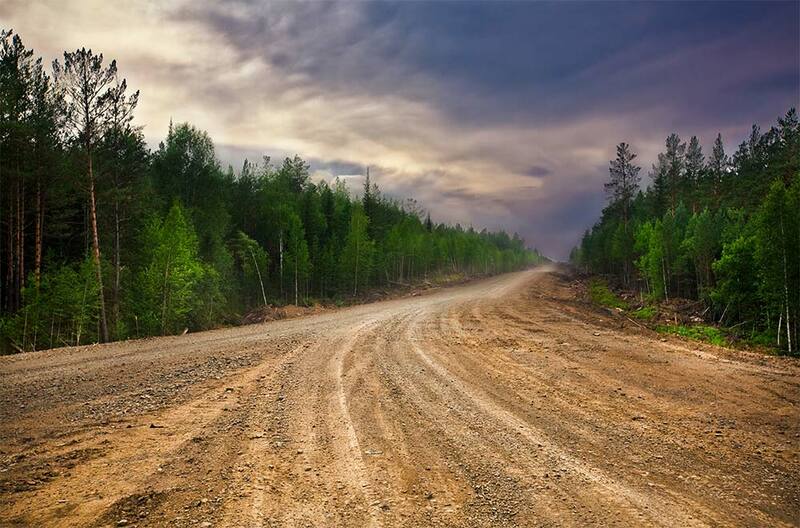 Traffic connections: The cottage is located near excellent road connections, so it is a perfect place to spend your vacation and, at the same time, visit the biggest cities in Southern Finland. From the motorway it is only a 10 minute drive to our cottages. Driving instructions: We will send you a detailed driving instruction upon receiving your reservation.